Speaker: Colin Williams, D-Wave Systems Inc.
Wellness offerings for October include the Health and Wellness Fair, free wellness offerings, fitness classes, athletic league and new employee discount information. Monday, Oct. 21, 11:30 a.m.-1:30 p.m. There will be vendors, giveaways and drawings. Wednesday, Oct. 16, noon-1 p.m.
You've heard about foods that do this and foods that do that, but which ones are actually going to be the most beneficial for fighting cancer? Get the latest research on cancer prevention and everyday ways you can help prevent cancer from developing. There will be giveaways for all attendees. Just show up. Feel free to bring your lunch. Mondays and Fridays, Sept. 16 to Dec. 20, noon-1 p.m.
Wednesdays, Sept. 18 to Dec. 18, 7-8 a.m.
Mondays and Wednesdays, Sept. 30 to Nov. 6, 5-6 p.m.
Tuesdays and Thursdays, 6 p.m.
Gym membership is required to participate. Contact O'Sheg Oshinowo for more information. For other discount information, visit the WDRS employee discounts Web page. For more information, contact Jeanne Ecker in the Wellness Office at x2548 or at jecker@fnal.gov. AD personnel operated the Linac and Booster accelerators, tuned the machines and conducted machine studies. Technicians replaced the driver tube for the RFQ. 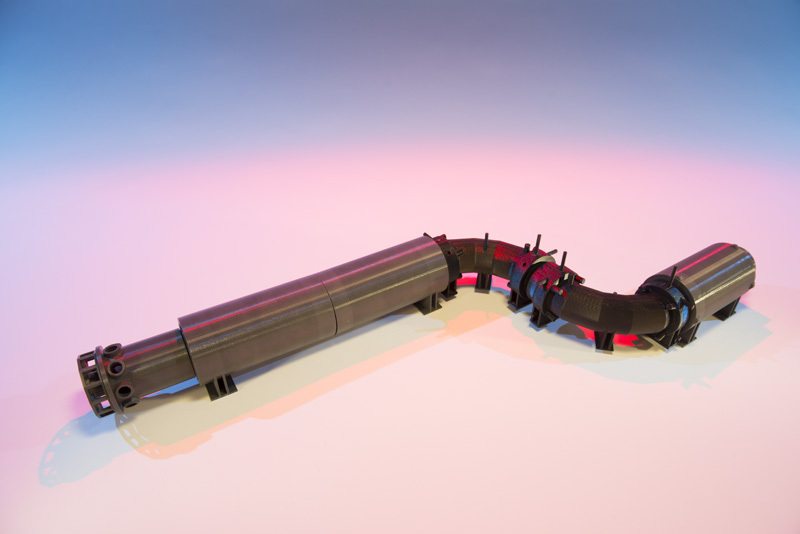 During the week of Sept. 16, the Main Injector provided 113 hours of proton beam to the NuMI target for the production of neutrinos for MINERvA, MINOS and NOvA. 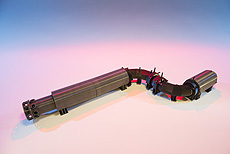 The machine delivered an integrated intensity of 4.57 x 1018. AD personnel investigated an aperture restriction in the Recycler. They adjusted and realigned the beam pipe. AD personnel sent proton beam from the Main Injector to the Fermilab Test Beam Facility. Experiment T-1038 took data, and equipment for experiments T-1043,T-992,T-1045 and T-1047 were installed during the week. The first post-shutdown beam to SeaQuest is expected in October. View the AD Operations Department schedule. Every fall, middle school students net for invertebrates in the pond by the Lederman Science Center. Students decide whether or not the pond is healthy by noting what "critters" they find. This summer, plants such as elodea, pondweed, and Eurasian water milfoil covered about 95 percent of the pond. To ensure the survival of the pond so that it could be a viable test area for students, and efficiently handle parking lot runoff, something needed to be done! Kay Van Vreede, head of the Workforce Development and Resources Section, wrote this column. Over the next month, Fermilab employees will receive two important communications from the Benefits Office, so please watch your email. Oct. 1 - State health insurance exchange notice. The first all-hands email will contain a link to a notice, which employers must distribute to their employees, explaining upcoming changes mandated by health care reform, also known as the Patient Protection and Affordable Care Act. The next milestone in health care reform occurs Jan. 1, 2014, when everyone will be required to have minimum essential coverage or incur a penalty. All three Fermilab-sponsored medical plans meet the minimum essential coverage requirements. Americans who are not eligible for coverage through their employers may enroll in plans through the new state exchange marketplace. Read more about the state exchange marketplace and review the notice. Oct. 11 - Annual enrollment announcement. Employees will receive an all-hands email announcing that annual enrollment will take place Oct. 14 to 25. The email will include links to the annual enrollment booklet, additional notices and the change form. We are pleased to announce that effective Jan. 1, 2014, all three medical plans will transfer to Blue Cross Blue Shield of Illinois (BCBSIL). The dental plans will remain with CIGNA. Annual enrollment informational meetings will be held throughout the two-week enrollment period. Plan to attend a meeting to learn more about the 2014 changes and new programs offered by BCBSIL. If your spouse or family member has questions, invite them to attend a session on Oct. 14 at 6 p.m. in Curia II. Annual enrollment is a passive enrollment this year, so you are not required to re-enroll if you intend to continue with the same plans and coverage that you have in 2013 or want to enroll in a 2014 FSA plan. However, you should review the booklet to understand how you may be affected by the transition of our medical plans to BCBSIL. Retirees will be notified of these changes in a separate mailing. The Benefits Office continually evaluates the lab's benefit programs to ensure that we maintain a competitive benefit position that is cost-effective, consistent with laboratory and DOE policies and compliant with state and federal laws. As always, members of WDRS and the Benefits Office are available to answer your questions. Feel free to email benefitsoffice@fnal.gov or call x3395 to make an appointment. You can also contact your HR generalist for help. Dark Energy Survey featured on WTTW's "Chicago Tonight" this evening at 7 p.m. The Dark Energy Survey will be the subject of a segment on WTTW-11's program "Chicago Tonight" this evening at 7 p.m. Reporter Eddie Arruza conducted an extensive interview with DES Director Josh Frieman for the piece. For more information, visit the WTTW website. This week's safety report, compiled by the Fermilab ESH&Q section, contains no incidents. Recently I created a list of 15 geeky places to visit before you die, and one of them was CERN, the European Center for Nuclear Research. It's a famous place based solely on the science that goes on there, but also because it gave birth to the World Wide Web in 1990. If you can't afford the trip to Switzerland to bask in those historic web vibes, though, you should soon be able to relive the experience of being one the first people to surf the web, right from the comfort of your own home.